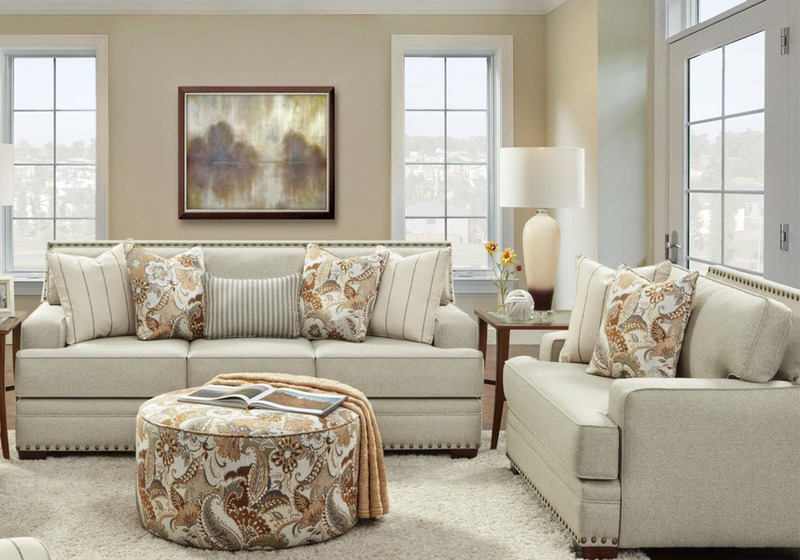 Elegant and comfortable, this sofa set will make a beautiful addition to your home. It features t-style back pillows, t-style padded seat cushions, large track arms and sectioned front border. 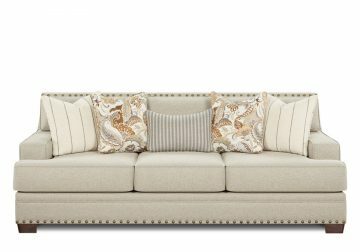 It is adorned with nailhead trim and stands on wooden wedge feet. It also has multiple contrasting accent pillows. *Love seat is not pictured.